After the Rain Vol. 1 Review – AiPT! 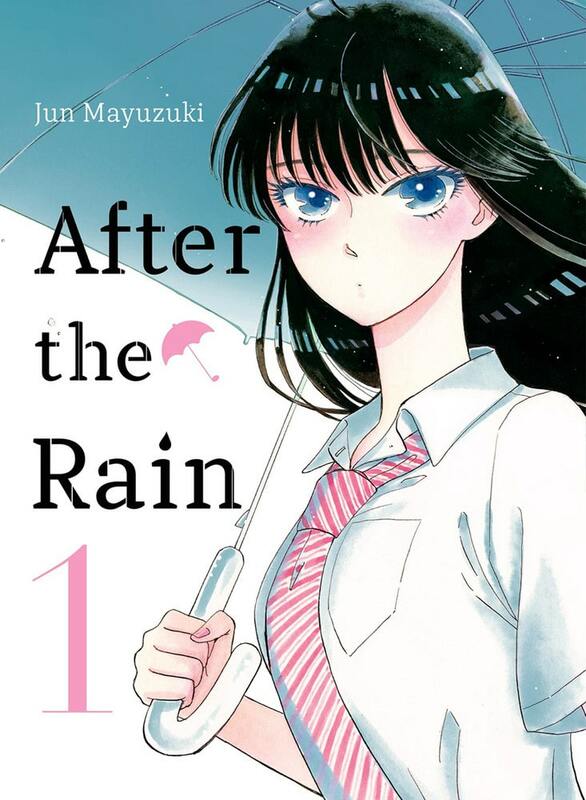 After the Rain, a slice-of-life manga by Jun Mayuzuki, tells the story of Akira Tachibana, a high school student who works part-time at a family restaurant and has a crush on her middle-aged boss. Vol. 1, published by Vertical Comics, contains the series’s first sixteen chapters. How well does Mayuzuki handle the characters and the potentially taboo subject matter? Is After the Rain Vol. 1 good? By and large, Mayuzuki does a great job introducing the series here. We very quickly get a sense of the various workers at the restaurant, and even those who aren’t the center of attention have well-defined personalities. All the characters’ little quirks are also a good source of humor. As far as Tachibana herself goes, we learn a lot both through her dialogue and her body language. It’s also worth noting that the pacing with which details about her past are revealed is stellar. We get hints and flashbacks gradually, so there aren’t any clunky exposition dumps. There’s a complexity to Tachibana’s character that makes her enjoyable to read about, and her temperament is refreshing in the context of young female love story protagonists. She’s remarkably self-assured, even as she deals with being unable to take part in her old beloved hobby (running track) after a leg injury. Of course, there’s nothing wrong with more anxious characters, but Tachibana is still a nice change of pace from what one might expect in a manga like this. Her strong sense of self is especially important given the potentially unnerving subject matter. Another one of this volume’s strengths is its art. Mayuzuki’s work looks lovely throughout, and she does a good job utilizing background details to craft an atmosphere befitting the characters’ struggles. For instance, there are multiple scenes that take place in the rain and have a great sense of subtle melancholy. The shading in After the Rain is also fantastic at adding depth to the world. With that said, the most pivotal aspects of the visuals are the characters’ expressions and physical movements. Even an unfocused gaze from the boss character can convey a lot about his current standing in life. My main qualms with this volume concern its final quarter or so. It’s still unclear how things will ultimately play out, but events progress in a way that begins to call characters’ likability into question. Of course, a character simply being unlikable isn’t a problem; the issue is with whether said likability matches up with how the character in question is presented to the audience. When Tachibana’s boss begins to act in ways that are suspect morally, there isn’t actually any analysis of the balance of power between the two characters. There’s also a sense that the boss is meant to be viewed as being relatively harmless, which doesn’t fully gel with his actual actions. Sure, he doesn’t go after Tachibana in the most blatantly predatory manner possible, but he doesn’t do a lot to rebuff her advances either. Your mileage may vary in terms of how well this plot point is handled. Besides this discomfort, the ending chapters also suffer from being a bit more rushed than the beginning of the book. Overall, After the Rain Vol. 1 is an enjoyable read. The protagonist is likable, the artwork carries an impressive sense of atmosphere, and there’s a healthy dose of humor throughout. Unfortunately, the ending chapters get a bit more rushed, and your mileage may vary in terms of how well the boss character’s actions are grappled with. With that said, there’s still a lot to like here. Only time will tell if Mayuzuki can continue to balance the series’s volatile subject matter effectively. Though it falters a bit toward its conclusion, this volume is nonetheless a strong debut with humor and great visuals.